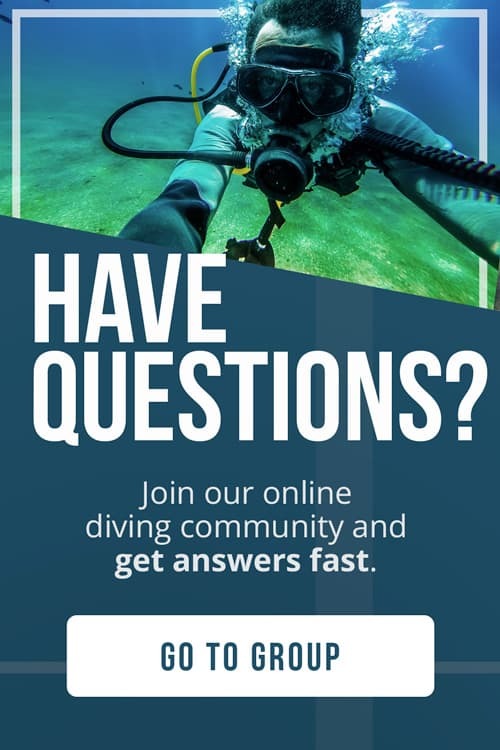 HOW LONG DO YOU HAVE TO WAIT TO FLY AFTER YOU DIVE? WHAT’S DANGEROUS ABOUT SCUBA DIVING AND FLYING? WHAT CAN HAPPEN IF I FLY AFTER LESS TIME THAN RECOMMENDED? WHAT ABOUT FLYING IN SMALL PLANES? DOES IT MAKE A DIFFERENCE? WHAT STEPS CAN I TAKE TO BE SAFE FLYING AFTER SCUBA DIVING? NOW PICK AN AMAZING SPOT AND BOOK THAT DIVE HOLIDAY! It’s the last day of your dive trip to Roatan and someone just saw a whale shark on the morning dive. You have time to make the afternoon dive boat to go look for it before your flight tomorrow morning. You want to go, you have never seen a whale shark but there’s one thing holding you back. How many hours do you need to wait between scuba diving and flying? It would be almost 12 hours…is that enough time? Here’s all you need to know before you hit the runway. Major dive organizations such as PADI and the Divers Alert Network (DAN) suggest a fixed time for flying after diving. If you have done several recreational no-decompression dives in a row, you should wait 18 hours until you fly. This is from the time when you exit the water until the time when you board the plane. Give yourself plenty of time to off-gas the nitrogen build-up in your body. 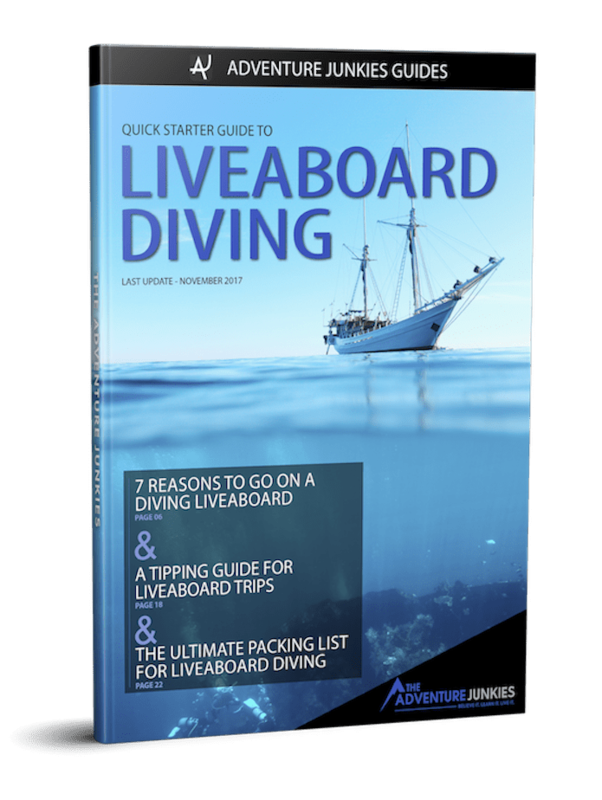 This is especially important if you have done repeated dives over several days, like on a liveaboard dive trip. If you’ve only done one no-decompression dive, wait at least 12 hours until you fly. The main concern with scuba diving and flying is decompression sickness. It was one of the first things you learned in your Open Water course. By scuba diving and flying soon after, increase your risk of Decompression Sickness (DCS) or “the bends” due to decreased ambient pressure on the plane. Decompression Sickness is caused nitrogen bubbles forming in the bloodstream and tissues of the body. When you go scuba diving, you descend below the surface of the ocean, where there’s an increase in the pressure around you. During your dive, nitrogen is absorbed into your body tissues and bloodstream from the air you are breathing in proportion to the pressure surrounding you. If you stay at pressure, the nitrogen in your body tissues is not an issue. As you ascend, the built up nitrogen becomes tiny bubbles and leaves your body. If you are diving within recreational dive limits, this should happen at a safe rate with low risk of injury. However, if the pressure around you is reduced too fast, the nitrogen comes out of solution and creates bubbles in the bloodstream and tissues. 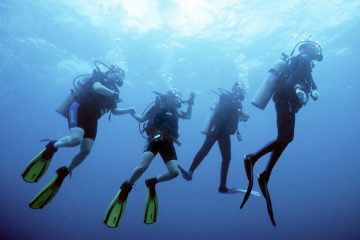 Divers get decompression sickness from having large nitrogen bubbles in the bloodstream which can cause major injuries. If you fly directly after diving, the decreased ambient pressure in the plane has the same effect as ascending too quickly from a dive. It can cause residual nitrogen in your blood to come out of solution too rapidly, creating large nitrogen bubbles in your blood stream. Scuba diving and flying soon after is not always going to cause serious injuries. That being said, the risk you take by not waiting the suggested amount of time is a big one with decompression sickness symptoms ranging from pain in the joints all the way to an untimely death. As the ambient pressure decreases on your flight, the nitrogen begins to dissipate quicker. This causes the nitrogen bubbles to get bigger and bigger. They then become trapped in your body and can travel through your blood system. This leads to blocking of vital functions. Injuries such as numbness, paralysis, circulatory shock and disorders of higher cerebral function have been documented due to Decompression Sickness. Remember, you can’t just call for help and get taken to a doctor or chamber facility if you start to experience symptoms of “the bends” mid-flight. You’ll have to wait to get medical attention until you land. This will make the injuries more severe over time. 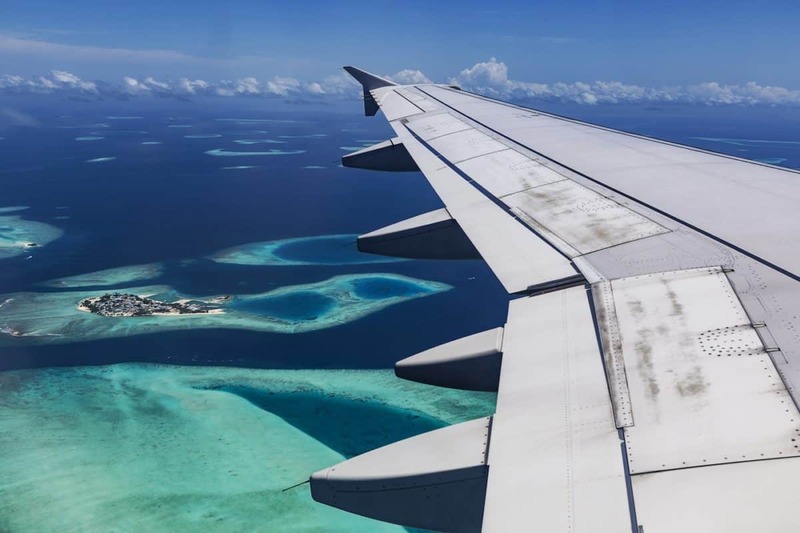 Whether you’re on a large commercial carrier or a small propeller plane, reducing the ambient pressure around you soon after you dive carries a risk of DCS. Gaining altitude is the core concern. This means just driving up a mountain to a higher elevation carries the same risk of DCS that exists with flying. When you board a commercial flight, the cabin is pressurized to the equivalent of an altitude up to 7,000 feet as soon as the doors are sealed. That means that it’s possible for the symptoms of DCS to begin appearing before your plane even leaves the ground. In addition to waiting 18 hours between scuba diving and flying, there are other ways to reduce your risk of DCS before you board the plane. Asking yourself if you are fit enough to scuba dive is one of the first things divers should do for their own safety. Being out of shape or having pre-existing health issues can increase your risk of DCS. This is true not with just scuba diving and flying, but diving in general. Diving when you are tired, dehydrated, or stressed out can make it harder for your body to expel nitrogen. If you haven’t had time to get to the gym or find yourself easily winded, schedule over 18 hours of no diving before you fly. All modern dive computers take into account a recommended no-fly time. If you use a dive computer, it will calculate a conservative surface interval for you. 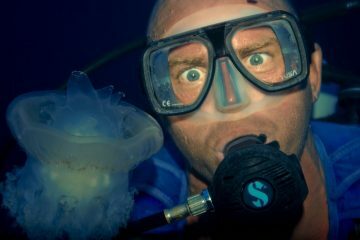 Before you go on your holiday, read the manual of your dive computer, and make adjustments if necessary. You may also want to bring/download the manual for questions that come up while you are on your trip. While you’ve got the manual out, make sure you are fresh on the rate of ascent indicator and no-decompression limit time, which will help you follow a safe dive plan. Alcohol can have effects on the body up to 24 hours after consumption and can negatively impact your ability to dissipate nitrogen, especially if you begin drinking right after your last dive. 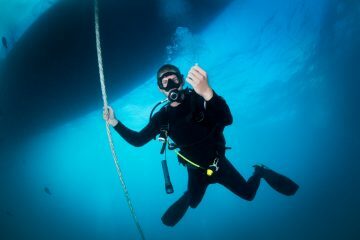 The deeper you dive and the closer you come to your No-Decompression Limits (NDL), the greater your risk of DCS. Do so, you’re accumulating more nitrogen on each dive than if you were to dive more conservatively. These dives can be safe and fun, just try to organize them towards the beginning of your dive vacation. Deeper dives or longer dives should be scheduled for when you first arrive. 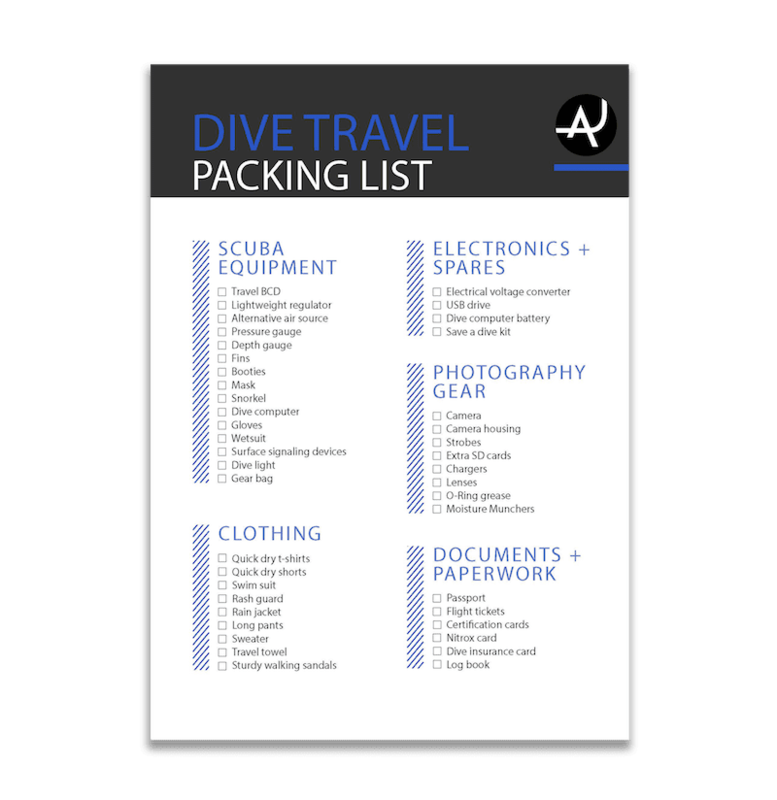 Leave your shallower and easier dives for the last day or two of your trip. Taking vacations to new and exotic locations is one the many benefits of being a diver. 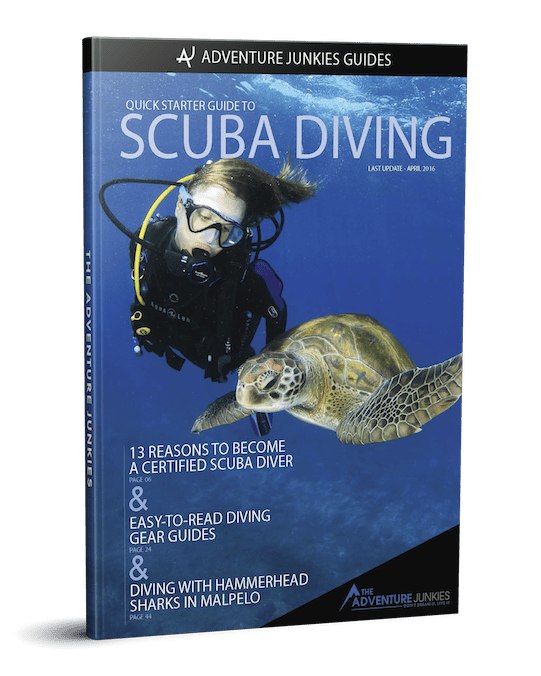 By properly planning your trip, incorporating surface intervals, and simply following the well-established rules of scuba diving and flying, you will minimize your risks of dive injury and, hopefully, have the time of your life.